Premium Quality 1022854 Color Inkjet Cartridge compatible with the Kodak Hero 3.1/5.1, ESP C310/C315, 2150/2170. The use of compatible supplies does not void your printer warranty. Premium Quality 1215581 Black Inkjet Cartridge compatible with the Kodak ESP 3, ESP 5, ESP 7, EasyShare 5100, EasyShare 5300, EasyShare 5500. The use of compatible supplies does not void your printer warranty. 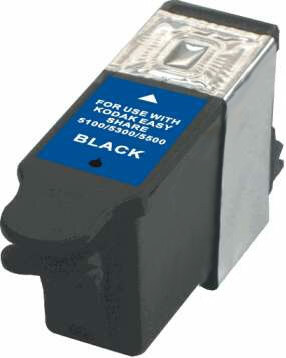 Premium Quality 12A1985 Color Inkjet Cartridge compatible with the Lexmark 3200/ ColorJet 3200/ 5000/ 5700/ 5770/ 7000/ 7200/ Optra Color 40/ 45/ X125/ X63/ X73/ X83 All-In-One/ Xb4/ X85/ Z11/ Z31/ Z42/ Z43/ Z45/ Z45se/ Z51/ Z52/ Z53. The use of compatible supplies does not void your printer warranty. Premium Quality 1341080 High Capacity Color Inkjet Cartridge compatible with the Kodak Hero 3.1, 5.1; ESP C310, C315, 2150, 2170. The use of compatible supplies does not void your printer warranty. Premium Quality 1550532 High Capacity Black Inkjet Cartridge compatible with the Kodak Hero 3.1, 5.1; ESP C310, C315, 2150, 2170. The use of compatible supplies does not void your printer warranty.